Working together to fight ALS! 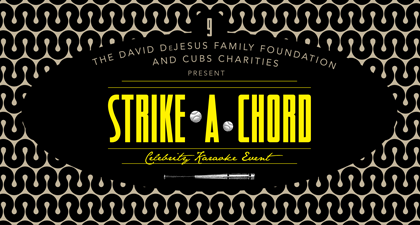 Thanks for stopping by to visit the David DeJesus Family Foundation (DDFF) page. The DDFF was started with the goal of providing comfort and aid to families in crisis who suffer from illness, poverty or disaster and lack access to basic human needs. We invite you to fight against injustice with us and help support people who are suffering and in need! We first learned about ALS, commonly known as Lou Gehrig's disease, when our friend Brian was diagnosed in 2010. We were stunned by the severity and cruelty of ALS on patients and their families. We couldn't help but get involved with the fight...not only for Brian's sake, but for every person and family fighting this battle. We Love What We Do! We believe that every small act, when combined, can create big change. Teamwork is central to what we do and we believe that, together, we can aid and comfort those in crisis and change the world for the better.